ICE Totally Gaming 2015 is officially over and what a whirlwind it was. Day one and day two of ICE were the busiest, with more people in attendance after these first two days than the entire three days of ICE 2014. Day three is always the quietest day of the event and for good reason- people are generally exhausted and of course the annual Fire & Ice party blowout takes place the evening before. Going into ICE, everyone knows day three is going to be slow and therefore its a good opportunity to check out new products at the booths and tie up any loose ends from the previous two days. First time ICE exhibitor Lottonetix featured the “Lottonetix Lottery Platform”, a solution for online operators wanting to take advantage of the lottery market. 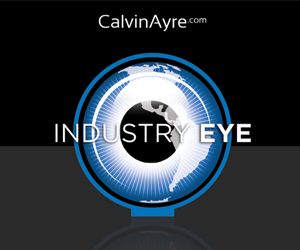 Shai Ben Ami, CEO of Lottonetix, told CalvinAyre.com he was pleased with his experience at ICE and said it served as the perfect opportunity to educate online operators on the potential of lotteries. Ami has recently announced his partnership with Kootac and used ICE as an opportunity to spread the word. Danny Thomas of Kootac told CalvinAyre.com, “The lottery B2B business is absolutely booming- it’s the new thing. We’re very happy to have such competent partners and to have this partnership. It’s a match made in heaven…but don’t quote me on that [laughs]”. The Odobo booth has grown into an impressive display over the past few years they have been exhibiting at ICE. 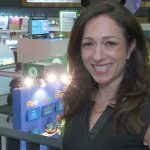 This year Odobo was promoting the Odobo Play App, an innovative “new games discovery” application available to online gambling enthusiasts via the App Store. The App showcases various games produced by studios involved with the Odobo Developer Program and soon studios will be able to earn affiliate commission for the traffic they drive to real money casinos. Founder and CEO of Odobo Ashley Lang told CalvinAyre.com of his plans to add virtual currency play to the app later this year and emphasized the new commercial opportunity the app will provide for their developers. There were a number of regulators with booths this year at ICE, Kahanawake, First Cagayan, Malta and Jersey to name a few. 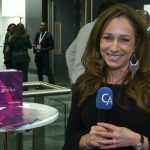 Jersey went off the grid for a few years, but now that the UK’s POCT Tax is in effect, Jersey has re-emerged as an iGaming jurisdiction and told CalvinAyre.com they received an overwhelming reception from the iGaming industry at ICE. Just across the way, Gaming Incubator took a booth opposite the Pitch ICE stage and Ben Dodds told CalvinAyre.com he thought the placement was perfect and said the foot traffic to his booth was steady and plentiful. He explained Gaming Incubator helps start-up companies in all stages of the lifecycle and his team’s extensive experience in all aspects of the gaming industry allow for Gaming Incubator to provide specialized services to all their clients. The Sports Betting Village was back this year at ICE and 1X2 Gaming took a huge booth space in the area. Kevin Reid of 1X2 Gaming told CalvinAyre.com he was pleased with his company’s exposure at ICE and sees real value in taking a prominent space within the Sports Betting Village. Reid said ICE 2015 served as the perfect venue to demo 1X2 Gaming’s team focused Virtual Football Pro product, featuring a whopping 162 leagues in 146 countries. One of the best aspects of ICE Totally Gaming is the bridge it builds between the land based and online sides of the gambling industry. This year ICE served as the perfect place to study what games are working for the big land based giants and to generate ideas for online. Nathan Howes of CasinoKings.com told CalvinAyre.com his main purpose at ICE was to check out the games on display at booths such as Novomatic and IGT and apply this knowledge to game development at CasinoKings. After spending three full days at ICE Totally Gaming checking out booths, attending sessions and speaking with delegates, its apparent the global gaming industry is thriving. 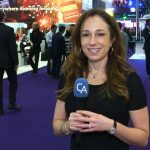 Clarion did a fantastic job executing one of the largest gambling events of the year and everyone could see with their own eyes the event is growing. We all continue to regard ICE as the must-attend event to kick off the year for the gambling industry and look forward to the next one.